In a new television special, Geraldo Rivera says convicted killer Scott Peterson is living the "Life of Riley" inside San Quentin. Peterson has been on San Quentin's Death Row since March 17, 2005, convicted of murdering his wife and unborn child. He filed an appeal in 2012. Mullane observed Peterson playing basketball on Death Row's half court. "I saw this quite, I would have to say buff looking young man with his shirt off and with these white boxer shorts basically and he was playing basketball. 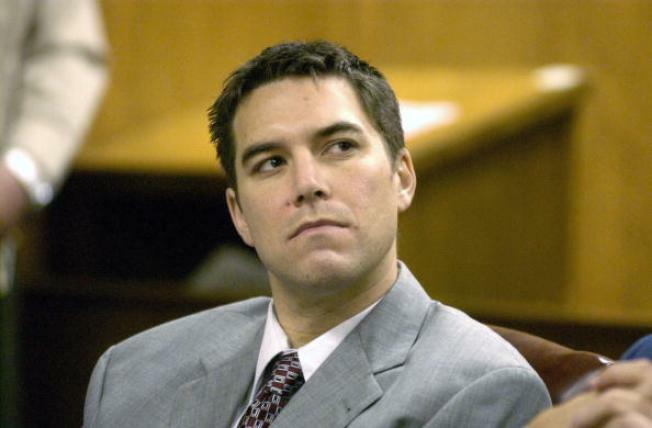 He looked like you were watching some college athlete on a neighborhood court play basketball," Mullane told Rivera on his Fox News special "Geraldo Rivera Reports: Scott Peterson 10 Years on Death Row." "Scott Peterson has an exclusive life inside San Quentin," she added. "Scott Peterson is not someone who has shown remorse, who has taken responsibility." "He's living in luxury. Unlocked cell door, plays basketball every day with his friends, strums the guitar. He lives the life of Riley on Death Row. They have cookouts. It is amazingly obscene," Rivera said during a March 20 appearance on Fox & Friends. Rivera's hour-long program airs on March 28.